What comes to mind when you think about a burglar breaking into a house? More than likely, you just pictured a man dressed in all black and trying to sneak into a broken door or window in the middle of the night to rob the place. 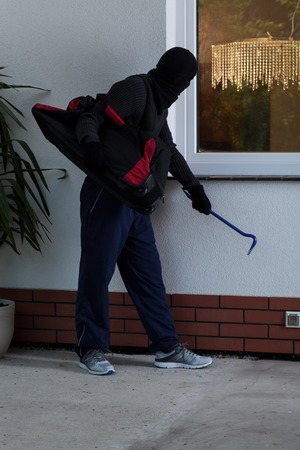 The truth is, however, that this is not how most burglars operate. According to the FBI, more than 60 percent of home burglaries happen between the hours of 6 a.m. and 6 p.m., and more often than not, burglars gain entry to a home simply by walking through the front door. As we move out of winter and into the warmer spring and summer seasons, now is the time to be especially vigilant. Burglars seem to target more homes in the summertime than they do at other times of the year. The FBI data shows that theft and burglary crimes in the U.S. usually increase about 10 percent during the months of June, July and August. The belief is that this increase can be attributed to people letting their guard down once it starts to get warm. With nice weather and comfortable conditions, most people aren’t considering the possibility of a break-in. They forget to close and lock windows, they leave front and back doors unlocked, and they go on vacation without taking the proper precautions to prevent a burglary. They also fail to install home security systems or cameras in their homes until it’s too late. NYCONN Security Systems understands the dangers that homeowners face year-round, but especially once during the spring and summer months. We have worked with many people to equip their houses with security systems and video surveillance cameras that can help protect your home and keep your property safe during the warmer months. Don’t wait until it’s too late to defend your home against would-be burglars. Start planning for the spring and summer now so that you don’t have some of the best months of the year ruined by a burglary. Call NYCONN Security Systems at 800-783-5004 today and let us help evaluate your home and decide on the security features and system that will work best for you.